A number of people, 33 to be estimated, confronted their death as they were travelling in a bus to Mahabaleshwar, for a picnic on 28 July 2018 (Saturday). This terrific incident took place near Poladpur, Maharashtra. These 33 people killed in bus accident Raigad, Maharashtra, were the employees of Konkan Krishi Vidhyapeeth, an university of agriculture, situated at Dapoli of Ratnagiri district. It was estimated that the road where the accident took place was very steep and narrow and experiences frequent rainfall, making the road to be a slippery terrain. Moreover, there's poor connectivity to any access at this particular location. 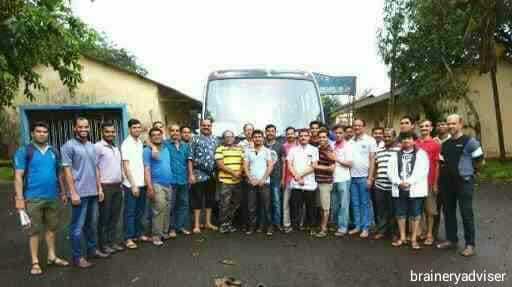 These 33 people killed in bus accident Raigad, Maharashtra undoubtedly resulted and proved to be a terrific incident. Immediate death of so many people within minutes is something which arises horrific feelings only by hearing it. The incident took place around 11:30 am near Ambenali Ghat situated at Raigad district, Maharashtra. The bus couldn't take a stable way when it took it's steep turn near this Ghat, further resulting to make its fall into the deep gorge of 500 feet (approx). Only one person named, Prakash Sawant Desai, could survive from this terrific incident, by somehow managing to jump out of the bus.The police officials of Poladpur station along with the National Disaster Response Force team from Pune, immediately made their presence at this specific spot to provide certain rescue. But with grief it has to be mentioned that they couldn't rescue those innocent 33 people. The Maharashtra government, stated that they would provide Rs 4 lakhs to the families of the deceased and further take the responsibility to provide all the necessary aid for the one that's injured. The Chief Minister of Maharashtra Devendra Fadnavis further stated that strict measures will be taken to avoid such treacherous incidents in the near future. Investigations are still going on regarding this accident, as mentioned by Devendra Fadnavis. Moreover, Prime Minister Narendra Modi and the President of Indian National Congress Rahul Gandhi showed their grief towards this treacherous incident. Although compensation money would be provided to the families of the victims, but this incident of 33 people killed in bus accident Raigad, Maharashtra would leave behind traces of grief and fear in the minds of many, especially their respective families. No such incidents take place in any area in the future, is the only hope we the people can make.